A strategic co-operation agreement was signed in mid-November when Beijing Grain Group (BGG) and DYXnet Group parent 21Vianet staged the “Strategic Development of Third Generation E-commerce Technology” seminar in Beijing. 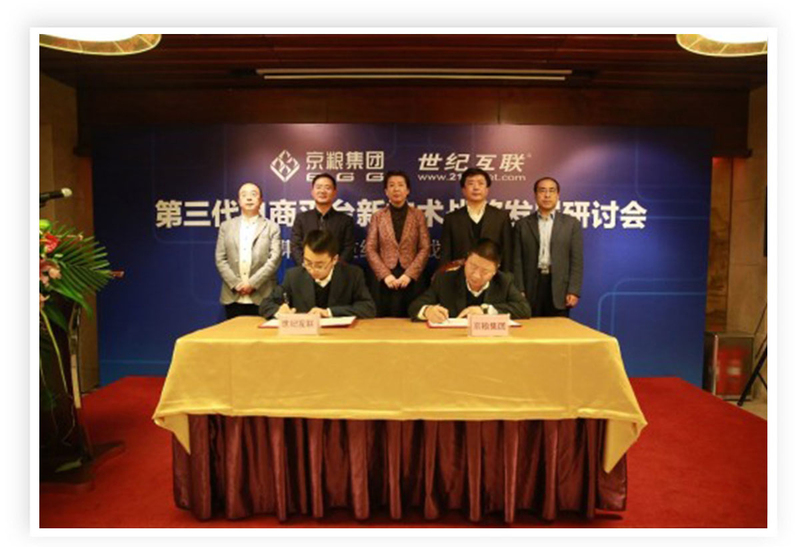 The signing ceremony around the co-operation agreement between BGG and 21Vianet was witnessed by guests such as Lanqing Zhang, Deputy Inspector of the Beijing Municipal Commission of Economy and Information Technology; Jiwu Wang, Chairman of Tus-Holdings Co Ltd; Josh Chen, Associate Director of Tus-Digital Group; Ran Ran, Vice President of 21Vianet; Jiang Li, President of the Innovative Research Institute; Guofeng Wang, Chairman of BGG; Jianxin Wang, General Manager of BGG; Shaoling Li, Deputy General Manager of BGG; Zhenzhong Wang, Deputy General Manager of BGG; and Yong Liao, General Manager of BGG E-commerce. Signatories to the agreement were Ran Ran from 21Vianet and BGG’s Shaoling Li. The strategic co-operation agreement is signed in the presence of representatives from 21Vianet and BGG. In order to implement the national innovative-driven strategy, Beijing-Tianjin-Hebei integration, as well as the innovative plans on “Internet+” and Big Data, BGG undertook the responsibility to develop e-commerce pilot reform during the 13th Five-Year Plan hosted by State-owned Assets Supervision and Administration Commission of the Beijing Municipal Government. As an important strategic partner of BGG, 21Vianet’s command of cloud computing, big data infrastructure and the latest Internet technologies will help upgrade BGG’s e-commerce capability, which will include development of the “Third Generation of E-commerce Industrial Park”. With its cloud computing and Big Data infrastructure, new internet technology and strengths in those industries, 21Vianet will support BGG to achieve e-commerce reform, technological innovations and industrial upgrade. Under this cooperation, 21Vianet focuses on the IDC+ core business and core competitive advantages to speed up the following arrangements: 1) Drawing on 20 years’ 24x7 experience in running large-scale Internet infrastructure, the only data centre nationwide and China’s renowned brand, 21Vianet targets to build up China’s first Internet Data Centre (IDC) Professional Operating Company (the “Operating Company”) by co-operating with state-owned enterprises and a government investment platform. 21Vianet aims to achieve rapid growth with an asset-light model of IDC to spend up the upgrade of IDC business from simple projects to IDC+ platform and open ecosystem; 2) focusing on the researches on e-commerce , internet finance, food and health sectors, 21Vianet is also exploring a new generation of shared infrastructure for vertical markets based on blockchain – or distributed database – protocol and carry out IDC+ independent core technological innovations; and 3) combining its competitive edges in Internet+ and digital economic upgrade with Tsinghua Tus-Holdings’ strategic advantages to speed up the preparation of large-scale funds to acquire various cloud computing + Big Data + artificial intelligence industry and technological innovations, achieving growth through dual engine in technological and financial innovations. Jiang Li of 21Vianet’s Innovative Research Institute outlines the benefits of joining forces with BGG. 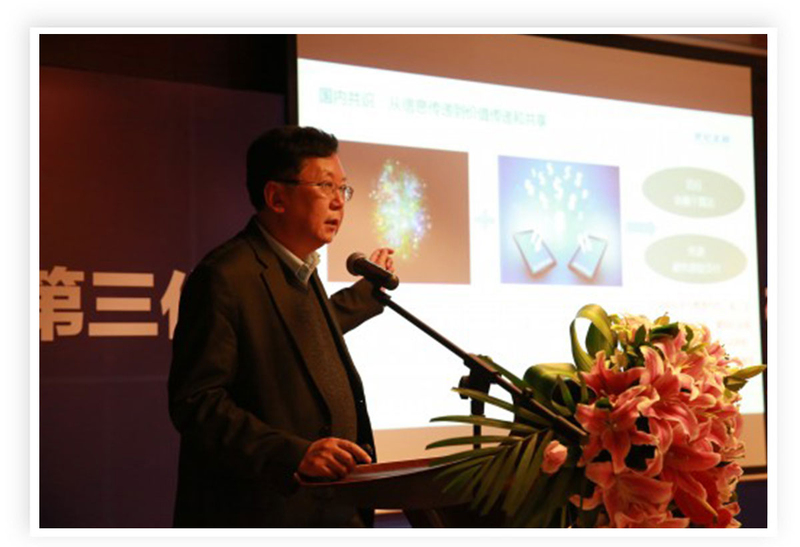 Renowned experts from technology industry were invited to attend this seminar such as Professor Yang Zhu from Tsinghua University, Professor Fusuo Zhang from China Agricultural University and Jiang Li from 21Vianet’s Innovative Research Institute. To share their insights on “Internet+ State-owned Enterprises Transformation”, “Artificial Intelligence and Food Safety” and “Blockchain and Food Safety”, they received overwhelming responses from leaders and professionals who provided valuable references for the strategic cooperation between 21Vianet and BGG.